I mean, didn't stopped fans who ships anyone with . But most fans' first introduction to Marth didn't really reference his bride. Meanwhile, Ken has his wife and child right in SF2. x ... Now I feel like a closed minded piece of **** that's putting them together because I think "Plants belong together"
Here's some more Incineroar x Lucario, I think I'm starting to like these two together despite Mewtwo x Lucario being my OTP. 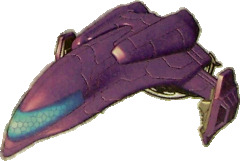 I was literally thinking about the possibility of this ship earlier this morning during my virus-induced cocktail of half-awake thoughts. I see potential. x - The White Knight and the Royal Princess. I'm a sucker for this cliche fantasy couple. x - The Plumber and the Princess. Yeah, I know, real original. x - The Timid Man and the Tomboyish Flower. Opposites attract, after all. x = The Kind Researcher and the Celestial Sorceress. Shulk wants to explore different universes and races to study them, and Rosalina needs another guardian to help watch over her Lumas. Shulk can get caught up in his research at times, but he and Rosalina deeply care for the whole group. x = The Wandering Warrior and the Yoga Master. Ryu constantly tenses up in his fights, so Wii Fit Trainer is here to help him recenter himself. I could see these two hanging out a lot whenever Ryu finishes fighting for the day and Wii Fit Trainer finishes recording training exercises. x = The Angel of Light and the Warrior of Fate. I don't really have anything headcanon-wsie: I just think Pit and Lucina simply look cute together. x = The Defiers of Destiny. Both have the power to change the future, so why not do it together? The idea of a bounty hunter and a soldier of war bonding over the loss of many friends and family and becoming each other's support system is too sweet for me. Something I've found quite cute for a while would be, uhh, hmmmm….Shovel Knight and Mario? Probably as a more one-sided crush thing, with humble Shovel Knight really admiring the famous Mario, and feeling so honored to fight alongside him. Mario must've welcomed him with open arms. The x ship has been growing on me lately. I kind of prefer this one. Richter and Lucina both have famous gramps, both were tasked with fighting the same monster as their family, both are Echoes. Definitely the epitome of "my ancestor can beat up yours"
Hella one-sided from Daisy's side, but fire-punchy second-fiddles is Daisy's type. Ken is married with his wife during the events of Smash Ultimate. With Dark Pit in Viridi's ranks, this flower power couple went from rivals to friends to lovers over the course of Smash Ultimate's competition after Daisy got over her childish crush on Ken. i think this ship is pretty cool. Also I’ve been shipping x since the last game since Lucina’s voiced by Laura Bailey who also voices Chun-Li. Roy and literally anyone he wants because he's too fire to have to choose just one. But actually XLeaf (female Pokemon trainer doesn't have a stock icon yet?...) because they should be near-ish the same age (15 and maybe 13 or so?) and both seem pretty confident but nice. I call it, "INB4 DC Lawsuit"
They come from different worlds, but nothing can stand in the way of this ship. Joker is into anything that moves and female, so Yoshi might have a chance. Joker x the entire roster if we’re going with canon. Especially if we wanna make DLC shipping a thing. I like to pair Peach with Fox because I think it was stated that they both have pure hearts once. I know people gonna hate this one, but I always like Mario X Daisy together, me and my sister agree they just look so good and go so well together. Opposites don't always attract, sometimes people will seek people who are similar. Lol oh boy and I thought my shipping of xMedusa was as far as a crack pairing could go. I didn't think such a shipping would even exist or was possible. Great now I got this mental image of and both being parents. Hello. Gonna drop my OTP riiight here. But I honestly like Marthy Marth with OoT Zelda more. They just have gone through the same shiz and would understand each other's struggles. It'll never be popular though. I've shipped them since I got Melee when I was ten lol. 2005 was wild. Overall, any incarnation of Zelda is cute with him. I'm not including Toon Zelda lol. I also got love for x , x , and x I just think they're neat. Thanks to Craonazilla I now have another crack shipping. Alright fellas can someone explain to me where the **** this x came from. Also I normally thing that x BOTW Zelda is the best in any video game but x isn't bad.